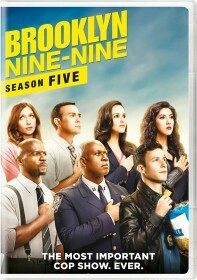 FOX has issued the press release for the December 6 episode of Brooklyn Nine-Nine, "The Overmining". Captain "CJ" (guest star Ken Marino) is having major problems with a big case, and Jake and Holt find the motivation to help him out. Inside the precinct, war ensues when Terry enforces a green initiative and tells Gina to get rid of her precious space heater, while Rosa and Boyle take a break from the night shift to visit a foot massage parlor in the all-new "The Overmining" episode of BROOKLYN NINE-NINE airing Tuesday, Dec. 6 (8:00-8:31 PM ET/PT) on FOX.